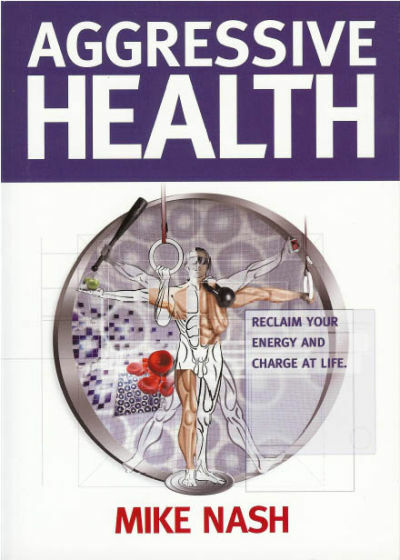 Item #0017: From the United Kingdom comes a fantastic new book on health, nutrition and fitness. A must read for any health seeker. If you want results, you need role models. And that is what Mike Nash will be for you: someone who is getting results and will show you how to do the same. * The reason most diets fail. * Discover why strength training is as important as any food or diet. * Learn body weight exercises that most "bodybuilders" and gym rats would struggle with. * Seven reasons why hemp seeds are the planet's most superior protein and EFA-rich food. * Discover a powerful technique for creating a laser-like focus, ensuring your success. * How to unleash a critical part of your brain that will guide you toward your goals. * Your bloodstream is the "river of life." Learn how to rebuild it to secure exceptional health. * Discover what is 30 times more effective at shunting extra calories into fat than into muscle  avoid this and you can wave goodbye to fat gain FOREVER! * Discover how one simple principle can help control your blood sugar better than a single shot of insulin. * 14 questions to determine your psychological health and why focusing on these can help eliminate stress for a lifetime. * How stress kills sexuality by affecting testosterone and a simple strategy you can adopt to keep your title of king or queen of the bedroom. * Discover why elite athletes and business executives are turning to mind technology to enhance EVERY aspect of performance. * Regain your solid erections or enjoy moist love-making again with a few simple changes to your daily routine. * 7 reasons why exercise eliminates depression better than psychotherapy. Most diets have you thinking more and more about food. With AGGRESSIVE HEALTH you'll find yourself focusing more on life and living. Food will still be a key focus, but you'll be more interested in using your new found energy to turbo-charge your life. With energy, anything is possible.